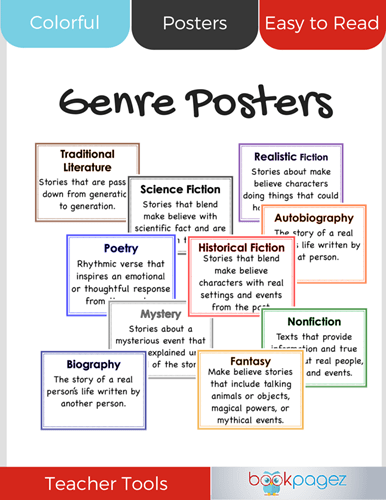 Print this set of Genre Posters on 8 1/2″ x 11″ cardstock and laminate for use year after year. 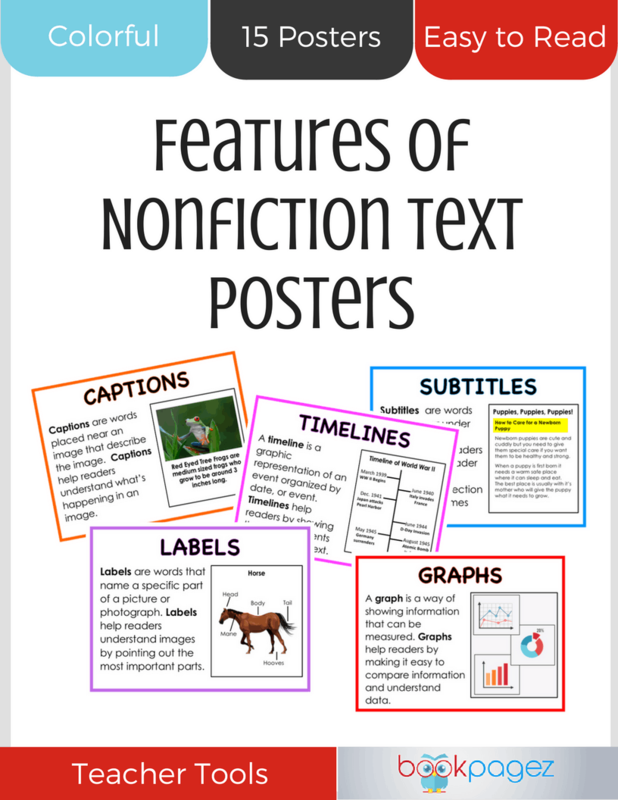 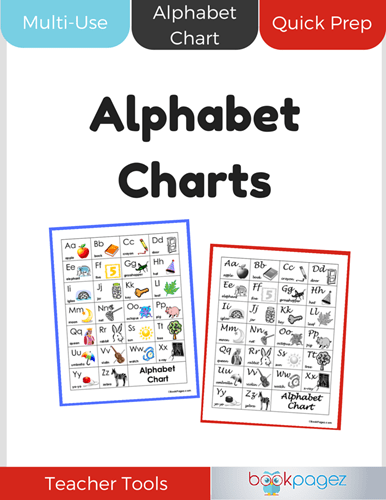 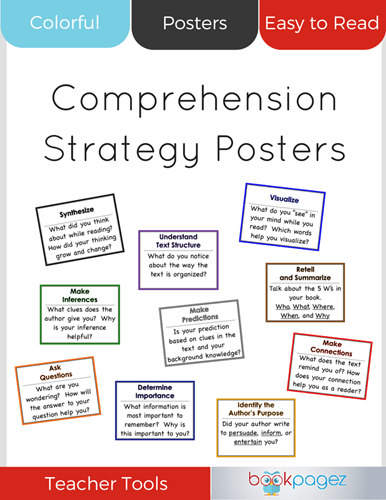 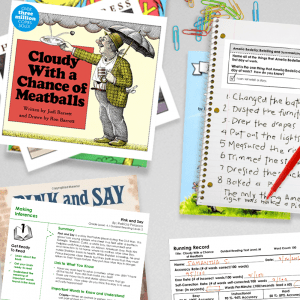 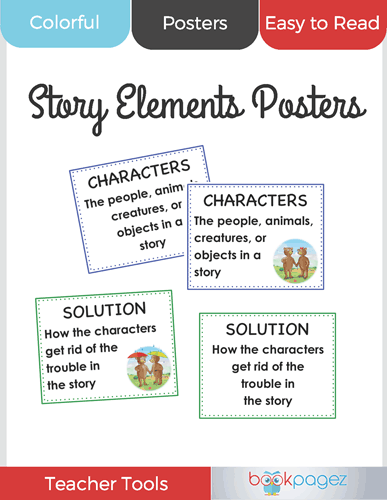 These colorful posters can be used to introduce students to a wide variety of genres. 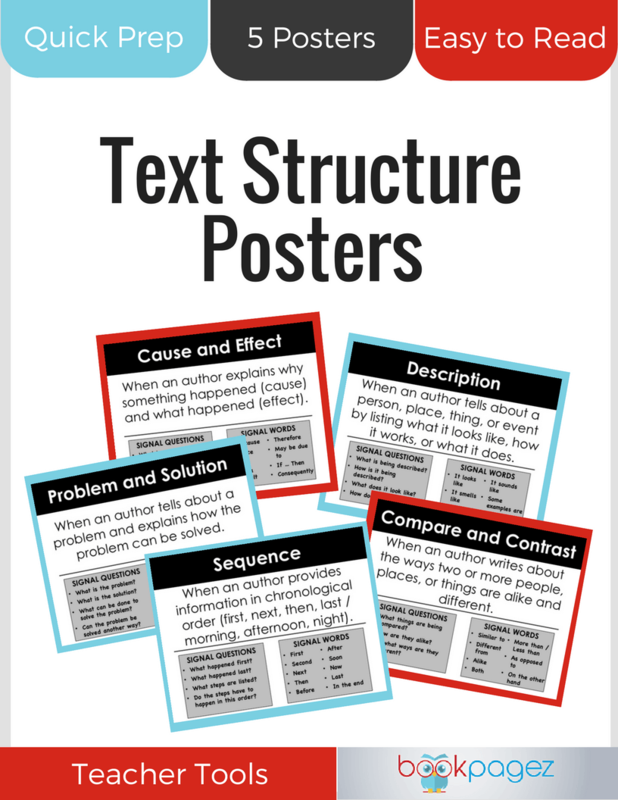 Simply hang in your classroom library and challenge students to read at least one title from each genre.